Our Company specializes in manufacturing of a wide range of Jewellery designing machineries such as a Ring Enlarger & Reducer (Two in One). 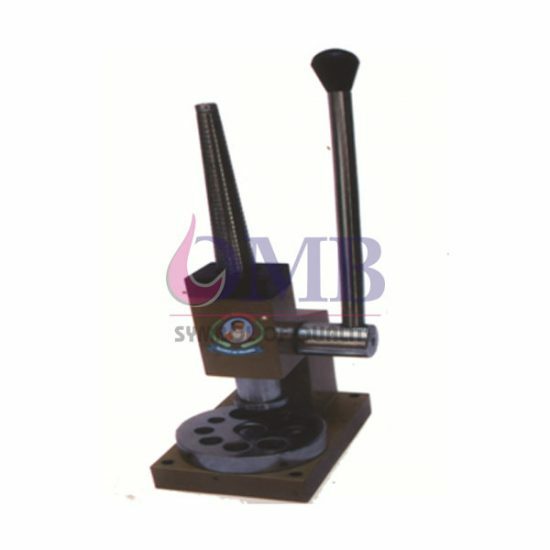 This machine is used to make silver, gold and brass rings of appropriate sizes. We offer this ring making device into two models i.e., premium and economy. Our all ring and bangle machineries are praised in the market due to the properties like manual operation, easy to use and precision performance. Ring making and strip cutting machines of our company are widely used in Electronics, Electricals, Metal processing units and others.